But after finding this, I'm going to try to enjoy the small things, to savor the precious moments, to stop worrying about things I can't change. I want to give more of myself with no expectations. I want to smile and laugh more instead of worrying. I want to live the life God gave me to live. I want to love more. I want to print this out and tape it to every door and window in my house and car so I remember this always. Aww, I just found and I really like this post!! Thanks for sharing and for being so honest. I have to admit I am guilty of some of these things myself. We can always be doing better. 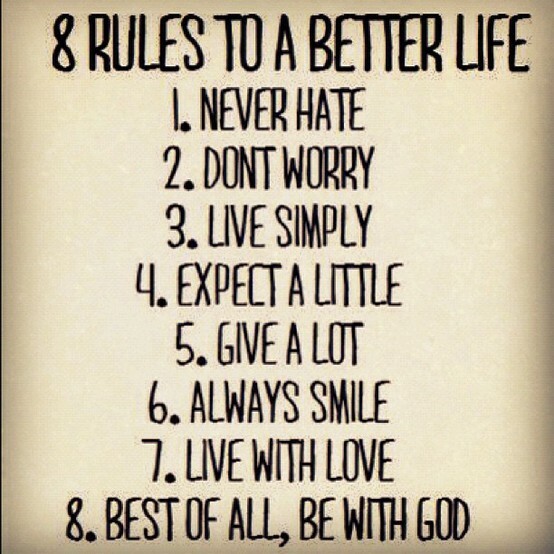 Such 8 simple rules. So encouraging. Thank you for sharing! 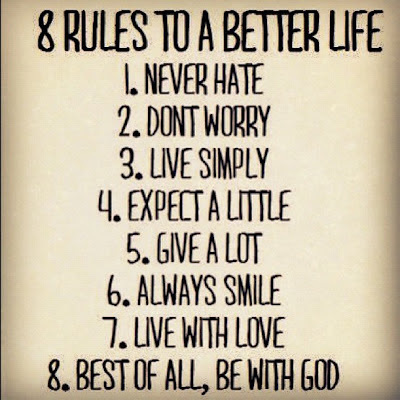 It is hard to be positive all the time...these are great rules!